More than a residence, Eden represents a rare combination of timeless architecture and stunning amenities, set amongst expansive parklands in the heart of the Western Suburbs. Eden has been designed to reflect the active and refined lifestyle of the Western Suburbs, integrating the sophisticated coastal atmosphere with the contemporary architecture of the building. Wherever possible, the apartments capitalise on stunning views, garden spaces and the outlook to picturesque Perry Lakes Reserve. This is the lifestyle you have been waiting for, the unparalleled luxury you deserve. 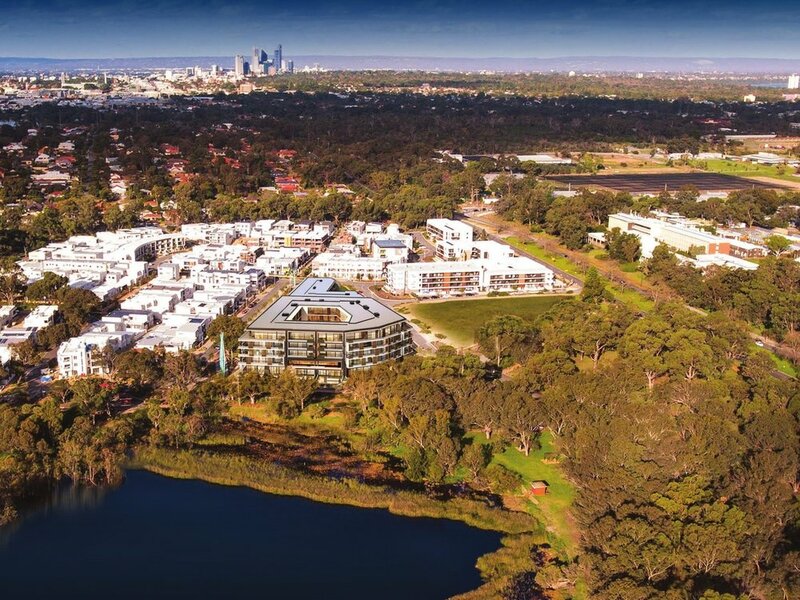 What better place to live than in leafy Floreat, overlooking the picturesque Perry Lakes Reserve, and beyond to the renowned Bold Park Reserve. The area is rich in history and provides a wealth of recreational opportunities, from walking, cycling and jogging to simply stretching out with a good book under a shady tree by the lake. Take a scenic stroll and you’ll soon find yourself at City Beach, Perth’s finest beach, or the world-class sporting and recreation facilities and stadiums closer to home. If golf is your game, you can tee off at Cottesloe or Wembley Golf Courses within minutes of leaving home or serve up an ace at one of the two tennis clubs nearby. Soaring ceilings and expansive spaces, with generous balconies to maximise stunning aspects. Living spaces with wide frontages that connect seamlessly to outdoor living. Oversized balconies for relaxing, dining and entertaining. These are just some of the many benefits on offer at Eden, along with master bedrooms designed to maximise views, ensuring your day begins and ends with a reminder of the unique parkland setting. What’s more, individual balconies are fitted with adjustable screens to control privacy and light, whilst built-in planters soften the edge of the building, introducing common landscape elements to individual balconies. All amenities reserved only for the finest of homes. Each of the well-appointed one, two and three bedroom apartments, penthouses and exclusive private residences at Eden are significantly larger than the market standard, with soaring ceilings to further create an aura of space. For all its luxury, Eden is about feeling at home. Practicality is important, with many apartments featuring secondary living areas, ideal for hosting guests or family. Among the many other apartment features, you’ll find home theatres, games rooms and full-size laundries. Eden also offers a level of refinement you won’t find elsewhere. The material palette is warm and luxurious and the finishes are, quite simply, unrivaled.